After 30 years of service, the building has undergone an extensive $2m refurbishment which allowed the building owners, HERA’s Heavy Engineering Research and Educational Foundation (HEERF), to catch up with long-deferred maintenance, provide for a more efficient use of space, and give the metals industry a meeting place with a more contemporary look in line with the industry’s future focus. On the 20th March, we will be celebrating the re-opening of HERA House and the Minister of Science and Innovation Hon. Steven Joyce will give us the honour of re-opening the new look building and giving the keynote address. It is significant to note that the only thing which changed in the Ministers designation in the last 30 years is the use of the word ‘innovation’ instead of technology. Also significant to note is that Minister Steven Joyce, who’s other portfolios include being the Minister of Economic Development, in 2012 brought all his ministerial portfolios together under one ministry named The Ministry of Business, Innovation and Employment (MBIE) with ‘innovation’ again being the key word. MBIE’s purpose is to Grow New Zealand for All and it does this by helping business to become more productive and internationally competitive, and by increasing opportunities for all New Zealanders to contribute to the economy. When you look at HERA’s role you will note a great deal of synergy with the MBIE focus. HERA vision is to have an internationally competitive New Zealand metals engineering industry which recognises HERA as the leading catalyst for innovation. And correspondingly, the HERA mission is to achieve this vision through assisting the NZ metals engineering industry in accelerating its innovation and by strengthening its combined opportunities through the provision of research, education, marketing and industry advocacy functions. 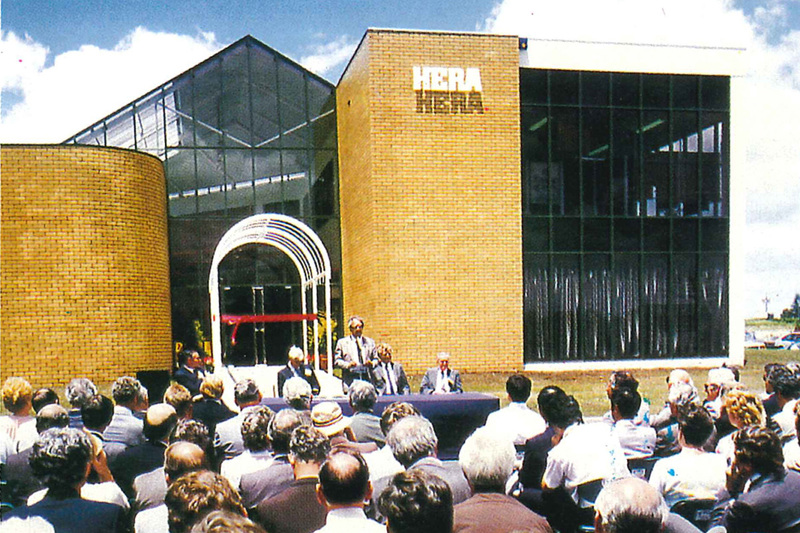 Looking at this synergy, it is pleasing to note that HERA created its slogan of HERA being synonymous to ”Innovation in Metals” at its strategy review started in 2000, well ahead of the government’s implementation of the ‘innovation’ word in its ministerial name. So no wonder, when the Minister asked what our industry sector would like him to speak about, our suggestions centred on what the Government is doing to improve innovation and growth in our industry with three areas of focus. The first being R&D and in particular what can be done to increase R&D uptake by our largely contracting-based industry, which has little experience and minimal track record in R&D and also largely has no product IP of its own. The second focus area is on government and public sector procurement and what progress has been made in the implementation of the new government rules of sourcing. While our industry is in full support of the new government procurement guidelines, we feel that implementation of the balanced decision-making rule, which includes considering the economic, social and environment impact of procurement decisions, is not progressing as it should. Politically delicate questions need to be worked through by political leaders around how much additional spending of public funds is acceptable when additional benefits of tax income and economic multipliers are considered for New Zealand jobs versus cheaper and sometimes inferior imports, when it secures NZ business and jobs. And the third focus area is around achieving product conformance. In conjunction with the threat of cheap imports, which often do not conform to local requirements, we believe that the government-regulated enforcement side needs to play a greater role to ensure that imported products do indeed comply. We have asked the Minister for an update to this situation. Despite the serious and difficult questions to the Minister, we want to celebrate with him along with our industry colleagues as well as other stakeholders of what has been achieved by HERA and the industry over the last 30 plus years in the innovation space. This was possible with considerable government support, which included of course a significant grant to build HERA House in the first place. I hope you find the time in your busy schedule to drop in and celebrate HERA and industry innovation in our industry-owned HERA House – we start at 12:30 pm with a lunch and have the opening ceremony commence at 1.30pm.